The full story of Middle East Respiratory Syndrome (MERS) is yet to be told. Would South Korea now be in the grip of one of the disease’s largest ever outbreaks if more had been done sooner to unravel its mysteries? A key point about MERS was that it gave some warning of its arrival. This was not the case with Severe Acute Respiratory Syndrome, which struck in early 2003 after an infected Chinese doctor and travellers from Vietnam, Singapore and Canada mingled in a Kowloon hotel. At the time, no-one knew a disease was afoot. The gravely ill doctor took his virus filled-lungs into Hong Kong’s hospital system, touching off a massive wave of infections among health care workers and their families. And after they went home and became sick, the hotel guests seeded infections into their hospital systems. By contrast, a full 33 months before a South Korean businessman was confirmed to have brought the MERS virus his country, the discovery of a new coronavirus appeared in a report from Saudi Arabia published in ProMED, a disease and outbreak reporting system with broad international reach. Egyptian virologist Ali Zaki teamed up with the Netherlands’ renowned Erasmus Medical Center to identify the virus that had sickened and killed a Saudi Arabian man in June 2012. That it was Zaki, not the Saudi health ministry, who revealed the existence of the new SARS-like virus turned out to be impolitic. He was quickly stripped of his Saudi job and left the country. Looking back, that initial official reaction was perhaps a harbinger of what was to come. Over nearly three years, information about MERS has systematically either been hoarded, mishandled or perhaps not even collected at all. That has left the world still unable to answer key questions about MERS and how it occasionally infects people. To complicate the situation, over the past year MERS efforts sputtered, overshadowed by west Africa’s catastrophic Ebola outbreak. “The world’s attention has understandably shifted to managing that crisis,” said Kamran Khan, an infectious diseases physician who researches the global spread of diseases at the University of Toronto. “Although MERS has continued to ‘simmer’ in countries across the Arabian peninsula, it hasn’t - until now - evolved into an international outbreak that has reminded us all that it’s still out there and continues to pose a threat,” added Khan. The virus is most prevalent in Saudi Arabia and the United Arab Emirates. And with millions of pilgrims flocking there annually and with its large contingent of foreign workers, Saudi Arabia seems to pose the biggest risk of exporting MERS to other parts of the world. But these countries appear not to have fully grasped the dangers, or taken on board their own responsibility to prevent precisely the kind of scenario that is now playing out in South Korea. The disease and death toll (which stands at 19 as of June 16), the social and economic disruption as well as the fear and political strife South Korea is experiencing will likely ratchet up the pressure on the source countries – and the World Health Organization – to come up with more answers about MERS as well as strategies for limiting its damage. But infectious diseases expert Michael Osterholm is worried the lesson the world will take from the Korean outbreak will be the wrong one. “What I fear is once we get through Korea people will say ‘See, we can control this. Don’t worry.’ And they’re going to miss the point that we may not be so lucky next time,’” said Osterholm, director of the Center for Infectious Diseases Research and Policy at the University of Minnesota. To date, 25 countries have reported cases of MERS. Most have had the traveling kind: tourists who contracted the virus on trips to Saudi Arabia or the United Arab Emirates, or infected wealthy Middle Easterners flying out for care via air ambulance. The vast majority of cases have occurred in Saudi Arabia, which claims roughly 1,030 infections, more than 450 of which were fatal. The WHO puts the global MERS count close to 1,300, with at least 455 deaths. While MERS is believed to have originated in bats, camels are now known to play a role in its spread. 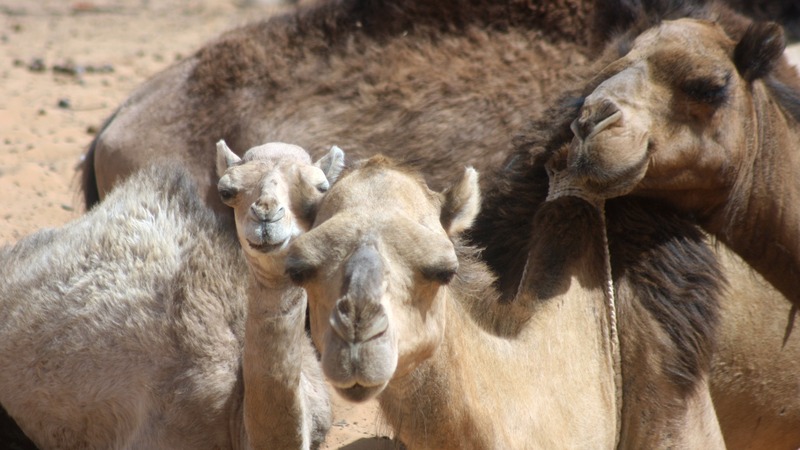 Multiple studies have confirmed dromedary (single hump) camels can become infected with the MERS virus, though it doesn’t make them noticeably ill. In Saudi Arabia and other parts of the Middle East, the beasts are ubiquitous and beloved. They provide meat and milk, are kept as pets, and are raced. Warnings to be careful around camels (Don’t consume their raw camel milk or undercooked meat; Wash your hands after contact) have not always worked. Defiant camel owners have insisted their own animals are disease-free and have, in front of cameras, drunk fresh-from-the-udder milk, or received slobbery camel kisses, to press home their point. Is that how people become infected with MERS? We don’t know. What about the myriad people who contracted MERS but said they had no contacts with camels? The world still does not have the answer, a fact Khan describes as surprising this late in the game. The way to answer those questions is through conducting a case control study, where epidemiologists quiz people who have and have not been affected by MERS and then compare data on their movements, animal and human exposures, and food and drink consumption. It is frustrating to scientists who study emerging diseases that there still isn't a published case control study on MERS. That may be about to change. A study, the product of a collaboration with US Centers for Disease Control and Prevention scientists, is said to be somewhere in the publication pipeline. Whether it provides the needed answers about how MERS comes to infect people, though, remains unclear. But why has it taken so long? Was it a lack of local ability to do the work? If so, there were multiple outside researchers offering to help with the study. Defiant camel owners have insisted their own animals are disease-free and have, in front of cameras, drunk fresh-from-the-udder milk, or received slobbery camel kisses, to press home their point. In off-the-record conversations a number of scientists complained the Saudi deputy health minister in the early days of MERS, Ziad Memish, was keen to maintain control over data, specimens and access, and to be named a prominent author of any scientific papers that emerged. In the first couple of years of MERS research, the publications section of Memish’s CV mushroomed. He and his boss were fired in the spring of 2014 when MERS cases in Saudi Arabia skyrocketed due to spread within hospitals that practiced poor infection control. But those who hoped the search for answers would gear up after Memish’s departure were disappointed. Ben Embarek suggests some of the problem is cultural. “They're not used to sharing private things outside of the family environment,” he explained. "People tend to be very evasive and not terribly precise in the way they answer. They don't understand what is expected." A case in point: The WHO MERS team first learned some people in Saudi Arabia drink camel urine - believing it has medicinal properties - about a year and a half after they started working on the virus. The WHO team didn’t think to ask. And when MERS avoidance advice related to camel contact was originally drafted, their Saudi contacts didn’t offer the information. When the South Korean outbreak started to take off, some scientists who follow MERS closely noted there had been large hospital outbreaks in the Middle East too. But they often were not recognized as such because the affected countries don’t report them in the detail South Korean officials have released. And they are rarely reported in the scientific literature. He and others suggest the answer to the MERS problem has to be a vaccine that blocks the infection in camels, thereby stopping the virus from jumping to people. “There is nothing right now to support that this is going to go away in camels,” Osterholm explained. Without a camel vaccine, South Korea’s experience will be repeated. And next time the virus may turn up somewhere without the system capacity and economic resources to respond effectively. June 13: A man is hospitalized in Jeddah, Saudi Arabia and later dies. Egyptian virologist Ali Mohamed Zaki and experts at Erasmus Medical Center in Rotterdam, the Netherlands confirm the infection was caused by a new coronavirus. Sept. 20: Zaki reports the new virus to ProMED Mail, an infectious diseases online alert operation. Zaki is later fired. The yet unnamed virus is known as “novel coronavirus” or NCov for short; it is from the same family as the SARS virus. Sept. 22: Britain reports to the World Health Organization that a London hospital is treating a Qatari citizen infected with the new virus. The man dies nine months later. Nov. 23: Saudi Arabia reports a cluster of cases in a family. February: A UK resident who had traveled home from Pakistan via Mecca, Saudi Arabia, is diagnosed with MERS. In Britain he infects his son, who dies, and another family member. This is the first known transmission outside of the Middle East. March 26: A man from the United Arab Emirates dies in a German hospital where he sought care for MERS. The man kept racing camels, which raised suspicions the animal may be a source of MERS. May: Infections that spread among dialysis patients at a hospital in Al-Ahsa, in northeastern Saudi Arabia triggered a large hospital outbreak. May 15: The International Committee on Taxonomy of Viruses’ Coronavirus Study Group reveals an agreement to rename NCoV. It becomes the Middle East Respiratory Syndrome Coronavirus or MERS-CoV. July 9: WHO convenes an emergency committee under the provisions of the International Health Regulations. The advisers say MERS does not constitute a Public Health Emergency of International Concern. The Emergency Committee has met seven times since, each time confirming that view. Aug. 9: International researchers report finding antibodies to MERS or a MERS-like virus in dromedary (one hump) camels from Oman and the Canary Islands. Multiple studies have since found viruses or antibodies in camels from Arabian Peninsula and African countries. Aug. 21: U.S. and Saudi researchers say they found an RNA fragment that is a perfect match for the corresponding part of the MERS virus in droppings from an Egyptian tomb bat. April 14: Malaysia confirms MERS infection in a Muslim man who had recently been on pilgrimage in Saudi Arabia. No cases have to date been connected to the Hajj, the major annual pilgrimage to Mecca. May: A massive surge in MERS cases in Saudi Arabia and the United Arab Emirates is caused by outbreaks in hospitals. The Saudi health minister and deputy health minister are replaced and outside management experts are brought in to help improve the Saudi response. May 20: A South Korean businessman who had travelled to Bahrain, Qatar, UAE and Saudi Arabia who became sick after he returned home is diagnosed with MERS after visiting three medical facilities. He infects more than two dozen people, igniting the largest MERS outbreak outside the Middle East. May 29: A man from South Korea tests positive for MERS in China. The man flew to Hong Kong then travelled by bus to Huizhou, in China’s Guangdong Province. Alerted by Korean officials, authorities in Huizhou detain and isolate him on May 27. He appears not to infect anyone in China. June 9: A joint WHO-South Korean mission, with experts from Hong Kong, Saudi Arabia and the US Centers for Disease Control and Protection, begin investigating the South Korean outbreak. They conclude though the outbreak is large the virus is not behaving differently. June 16: The WHO’s MERS Emergency Committee meets for the ninth time. The outbreak has claimed 19 lives.